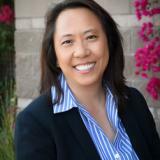 Hui Wu-Curtis is a Customer Experience Strategist who specializes in contact centers operations. She has over 20-years of experience in leadership roles across multiple industries including hospitality, utility, financial services, telecommunications and healthcare. Hui is a forward thinking innovator and thought leader for customer experience and has worked with organizations to transform their customer service and support teams. Hui is the Sr. Director, Global Customer Care Strategy for Choice Hotels where she has responsibility and influence over all contact center sales and support divisions under Shared Services including Reservations/Sales, Member Services, Property Support, Reputation Management, International Operations, Social Media, Customer Relations, Workforce Management, Reporting & Analytics, Vendor Relations and Contract Negotiations which supports over 6,300 hotels in 35 countries. Check out the incredible speaker line-up to see who will be joining Hui.